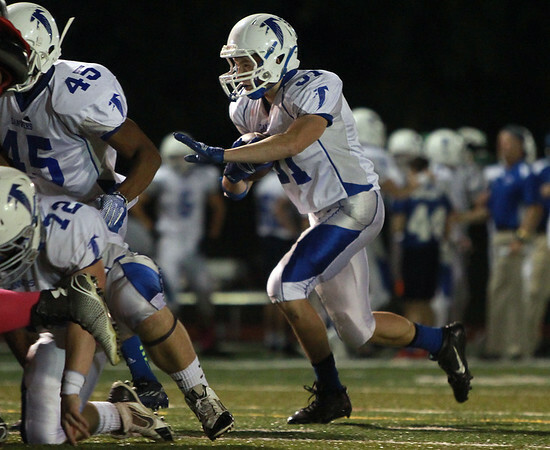 Danvers senior captain Richie Martino uses his blockers out of the wildcat formation for a score. DAVID LE/Staff photo. 10/17/14.